2 Years ago, we celebrated our 10 years with 5 anniversary EPs entitled 10 by Ten, where we asked 10 of our favorite artists to write an exclusive track for the occasion. 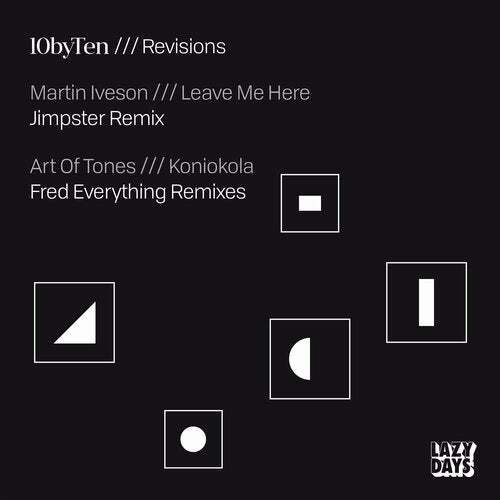 Two of the stand out tracks were Martin Iveson - aka Atjazz - Leave Me Here as well as Art Of Tones, Koniokola, which we thought deserved a second life. Freerange and Delusions of Grandeur boss, Jimpster, blesses us with his deep yet driving rendition of Leave Me Here, while Fred Everything chooses to update Koniokola with a more dance floor approach and a strip down Dub. We also included the Original of Leave Me Here which was never available on Vinyl.